So this morning when I couldn't sleep due to those middle-age night sweats and pain in my left ankle from when Levi, the boxer-dog ran into me, I thought. I thought about the memoir I've been slaying over, and, after jotting down a few notes in the darkness, I was reminded that I haven't posted on this blog in too long. So on my memo pad, while my husband and boxer slept, I wrote: Write a blog post tomorrow. Shame on me for not keeping up with posts here. I am not sure what excuse I have but I suppose I could blame it on our business, working on my memoir, and those other aspects of life that worm their way into the day-to-day threads of living, some good, some just frustrating. Having said that, my memoir is at a good place. I think. Oh, ask me tomorrow. Tomorrow I might want to toss it out the window. This memoir is much harder to get right than any novel I've ever written. Just when I think I'm content with it, I learn something new and realize that some chapters must be re-worked. The surprising news is this: A fellow author asked me to facilitate a memoir writing workshop, and although I am no expert on the subject, I said YES. I figured that with all the articles, books, and webinars I've poured into my brain on memoir writing, I can share my self-taught knowledge with others. So I'm up for the task. I've learned about so many of the components of writing a memoir as I've educated myself through the gurus who hang out on the Internet. I've listened to talks on finding themes and plots, structure, and strong starts and significant endings. I've read dozens of memoirs this year, analyzed what I have enjoyed and what I haven't. But yippee, I get to share my knowledge at a workshop! The memoir writing workshop starts April 2 and will be held for five weeks at the Princeton Public Library in Princeton, NC. Not Princeton, NJ, so don't head there. The workshop is free; yes, you read that correctly. It is being offered thanks to a grant. The workshop will be given each Tuesday in April from 4 to 6 PM. For those of you reading who live close enough to Princeton, NC to join me at the workshop, I hope to see you there. Bring a pen you love and a notepad and/or a lap top. Let's discover the magic of writing memoir together! 101 Dr. Johnnie H. Jones Jr. Blvd. I believe in many things, simple and grand. I believe in inspiration that comes on a walk on a fall day, that a cup of strong Earl Grey with milk can make almost any bad morning better. I believe in the power of love manifested through the life, death and resurrection of Jesus Christ. I believe that when you can forgive---even those who don't ask you to---you are freer than any soaring eagle. And when life takes a dangerous and sorrowful turn, I believe that pen and paper can heal. As we honestly and freely unleash our heartache onto the page, our hearts and minds go through transformations. We see our pain on paper and we view it in a new way. From there, as we continue to write, we become stronger, more able to cope and adjust to our situation. This writing for healing is a sacred gift. It has saved me from the moment my four-year-old son died. I have watched and learned as I've unveiled deep things in my writing. I've solved problems, understood, gained new perspective. Writing to heal is an extraordinary phenomenon. I'd love for you to write with me. Be inspired in the power of writing as you listen to this video that was so kindly created for me by a young man named Wes. And after that, share here in the comments below how writing has been an avenue of healing for you in your life. 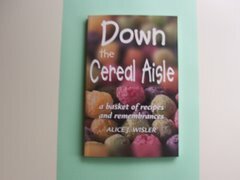 As a compiler of cookbooks and a writer of fiction, I like food in my books. When I created the character, Gideon Miller, for my ex-Amish novel, I knew he had to have foods he liked. Since he's from the Amish country of Pennsylvania, apple butter made sense, and so I showed how he spread apple butter on his toast each morning before heading to work at the auto mechanic shop in Twin Branches, North Carolina (don't look for that on the map; I made that town up). I also let him drink green tea, straying a little from the Amish tradition. He did stray after all; he chose to escape their lifestyle and move to the mountains of North Carolina. I think showing what a character enjoys eating brings out the fun in a book, as well as makes the men and women in the pages seem human. Food connects us in a fabulous way. Perhaps that's why cookbooks with photos of decadent cakes and latticed pies are so popular. Speaking of human, Still Life in Shadows is now on audio, narrated by a man. You can sit back and relax, eat, bake, drive, or garden while listening to the story of Gideon and how he helps dissatisfied youth leave Amish culture and make their home in the English parts of America. 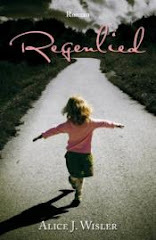 You can hear Kiki, the teen who wants to belong, but due to her autism is often misunderstood. You'll meet Ormond, the auto shop owner, and Mari, who works in a tea room where Gideon goes for tea and pie. 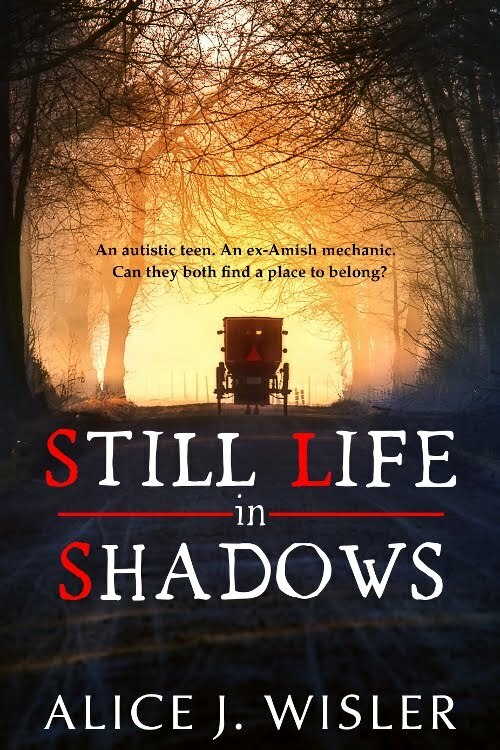 If you'd like to listen to Still Life in Shadows and write a review or post something about the novel on your blog, let me know. 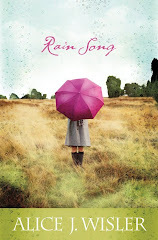 I can send you a code to get a free (yes, FREE) audio book. Simply email me at info@alicewisler.com to get your free audio book! Happy listening! 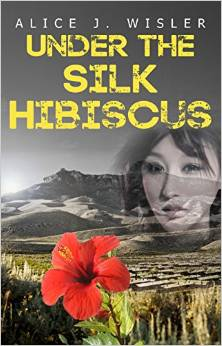 If you'd like a print or e-book copy, head over here. 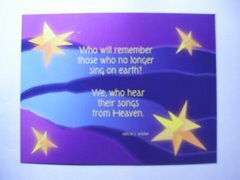 When I showed my friend Jane the plaques we made for her daughter's memorial garden, she loved them. Carl does the work, so I took no credit, except I did screw in the eye hooks and attached the chain to one of them. You would think I was constructing a new house; it took me much longer than it would have taken an average person to do that task of placing the eye hooks, drilling the hole, screwing them in. But enough about my lack of skill and slowness. What impressed me and will stick with me about giving the two garden plaques to Jane was what she said after she said she loved them. "It's so nice to see her name." A name. Katelyn. When Katelyn was born, Jane came up with the spelling of the name, so not only was it her daughter's name, Jane had a part in crafting it. In the bereaved parents' writing workshops I facilitate, I often have parents say their child's name aloud. All together we say our child's name, like one big burst of sunlight. Sometimes we go around the room and take turns saying the name of our child. It's a sacred time. Whenever we get an order at our shop, Carved By Heart, and the buyer has the name Daniel, I love seeing it on the order form. My heart does a little flip. This customer is special to me because of his name. It doens't matter than I don't know the customer personally, I just love seeing his name. After the item is created and I've wrapped it up, I get to write Daniel on the package. My son's name. My son who is no longer here. So when Jane ran her fingers over her daughter's engraved name and smiled, it was a powerful moment. We do need to see and speak our child's name. Often. We don't get to call them to dinner anymore, watch them play, or wrap a gift for them. But we can give ourselves a gift by saying his/her name. Aloud. We can have it engraved into pine and see it, too. Our new butterfly garden plaques are now at our shop on Etsy. It's been 9 years since I wrote the following for the Open to Hope website. Seems so long ago, and yet, just like yesterday. I hope this piece will speak to those of you who are dealing with new grief. Some view grief as a dirty word. It’s associated with pain, hardship, suffering, endless days of crying and never seeing the sun. It’s hard – tough on the body, spirit and mind. No one wants to have to go through grief. All hope to avoid it. The Oxford Dictionary defines “grief” as the media does – intense mourning. I know that’s true because when Daniel first died, the agonizing pain was intense. To walk into a store was painful. Seeing my surviving children and knowing that from now on Daniel would not be with us on earth again crushed every nerve. But the dictionary, like the media, fails to take the meaning of this word a step further. Grief is defined as though it is a process with an ending. This leads our society to believe that one day, you lose your grief, as you have lost your child. As the years have gone on, I am under the impression that my grief, and that of fellow bereaved parents, will hold no ending. As long as we live on this earth without our children, we will miss them, love them, mourn for what might have been and therefore, grieve. Granted, grief may not be as intense. For this, we are grateful. If the rest of our lives would entail the fierceness of fresh grief, how could we ever breathe normally again or function as civilized members of society? No one can live on a wild out-of-control roller coaster of emotions for all of life. Tanner, who has suffered the loss of her father, put it quite well. I know that feeling of boldness that new grief can give you. Nan says she feels like steel. It is amazing to me that while we are crushed by grief, we are also empowered by how it can make us determined to stand up more for what we believe in, not take any slack from anyone and be in that no-nonsense frame of mind. Is this a gift? Could it be that grief, with its endless component, is really a gift to be opened and dealt with, and used for our benefit? Recently, just before Daniel’s would-be-tenth-birthday, a college friend who knows that since Daniel’s death I have collected watermelon objects, sent a box filled with dishes and other items – all with the red, green and white motif. Being able to cry when I opened my watermelon package was a gift. Writing a poem later that week in memory of Daniel and using the watermelon theme, was an added bonus. Sending the poem to friends and other bereaved parents was a tribute to Daniel. Praise for the poem and remembrances of Daniel were given to me. People establish funds, scholarships, start newsletters, write books and plant trees – all in honor of some loved one who has died. Mourners put their grief to work in order to honor and carry on the love they hold for the one they can no longer embrace. Grief is not always in the obvious and expected form of tears. Some might think that a person no longer with tears is no longer in grief. Many tears do not reach the eyes but are forever present in the heart. So what is grief? It is a mixture, a hodge-podge, a collection of emotions that range from one end of the scale of human feelings to the other end. Grief causes us to act and react. Grief is laughing with your children and wishing for the absent one to make the circle complete. Grief is crying in your car at stoplights. Some days grief makes you brutally honest; other days, grief muzzles you. Grief is sadness, hope, smiles and tears – rolled tightly like a snowball. Grief makes you search past the stars and the moon for Heaven. Grief strips you of everything you were pretending to be. Grief gives you new priorities. Grief opens hidden treasures from deep within your soul. Grief allows you to empathize more deeply with others who ache. Grief makes you unapologetically bold. Grief is a daily companion, best dealt with by admitting you do walk with it, even after all these years. Grief is the price of love; grief is a gift. Allow yourself time to listen to the sounds of the night and write what grief is to you. ~ Alice J. Wisler, Daniel's Mom. I wrote the following years ago on my Broken Psalms blog and wanted to share it here. We are a broken people. Lots of people don't want to admit to that. Even those who follow Jesus and have deep faith. They want to prove themselves educated or well-off, or sufficient, their own saviors, their own independent clauses. When I was little, my line was: "Alice can do it." This meant, step aside, Mommy and Daddy, I can set the table, I can put my own shoes on, and later it evolved to, I can be sufficient. I don't need anyone. But when our pride of what we can do starts to deceive us into thinking we are superior to others or better off or more loved, then we aren't living a life of humility or service. We aren't transparent. We're soaked up with ourselves. We can do it. Alone. Look at us. Like a kid swinging from the top bar of the jungle gym, "See me. I am strong. I don't need you." "Find rest, O my soul, in God alone. My hope comes from Him." Psalm 62:5. God alone gives us hope. Nothing else. In all our pain and struggles, He alone restores us to Him, comforts us, knows us. We were born broken and we will die broken. There is no complete restoration of us---not the kind that transforms us into independent creatures without a need for The One who gives us the only Hope worth pursuing. We cannot save ourselves. We can't fix ourselves. But we can accept our limitations. And quit trying to pretend that we are self-sufficient. We need Him. Sometimes I still fight how much I do. Because inside of me is this little voice that wants to do it on her own. Find rest, O my soul. When you reach out to rely on Him, when you hand Him the broken pieces of your life, that's when real living happens. You have to grow into your grief. No one can tell you how to do it. At first after Daniel died, I was going from one train of thought to another. Is this me? Is this what I believe? Is this what I think? Is this what grief is to me? 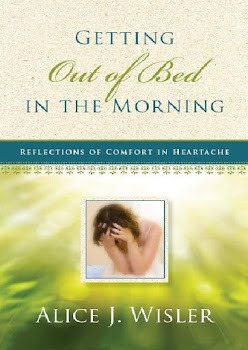 I wasn’t sure how I was to be as a grieving Christian. Some told me to be happy that Daniel was safe in Heaven with Jesus. Did that phrase comfort me? Others said that our children are only on loan from God. Did that mean I should have realized that my other children could be gone from me at any moment, that they have a Due Back By date stamped on them? I fluctuated between the ideas and concepts many held at my local chapter of The Compassionate Friends and those of the church. Sometimes these concepts about God were at odds: God didn’t allow Daniel to die; it was a work of the Devil. God allows bad things to happen. God has our days numbered. God has no control over when a person dies. God does not take away our suffering, but he walks with us in it. As I tumbled into grief’s pit, all of these concepts/truths/thoughts/ponderings made me dizzy. What did I believe? What did I need in order to make sense of Daniel’s death and get through the muddling? And the most daunting question: Who was I now? Over the years, you grow into grief, like a new skin. At first, you don’t know where you stand or how to adjust to the “skin” until time passes—time where you’ve sufficiently grappled. During the grappling stage, your thoughts bounce around: I don’t like this new skin. I want my old life back. Where is God? What will I do? What works for me? Why is this skin so itchy? I miss my child. It’s a time of insecurity, this early grief. But then, you slowly come into knowing who you are—who you have become, shaped by grief. You know which platitudes bug you and why they do. You understand that half of the things society says about moving on are just to make others feel comfortable in their discomfort. People are scared and trying to make sense out of your tragedy. You represent to them that not only did your child die, but that theirs can, too. Quickly, or from an illness that goes on for months. You recognize when you need to leave a function because you’re tired of superficial conversations. You do say your deceased child’s name and don’t feel the need to apologize for bringing up the dead. Or for sharing about the time he slid down the snowy bank in a recycle bin. Over the years, you have worked hard. Now you have a time-tested grief. You own it. You know exactly what this grief is because it is part of you. You don’t settle for what others expect grief to be for you. If you want to go to the cemetery and lift balloons to Heaven, you do it. You make no excuses. You live your grief out loud in its fullest which sounds ironic and crazy, but that’s how grief has to be lived. You know that when a school shooting happens and the news anchor says two days later, “They are still grieving,” that he doesn’t get it. Because any parent who wears the itchy skin of grief knows that using the word still is almost laughable. Still grieving after two days, really? You want to be that news anchor for a moment and tell the viewers this: These students, teachers and parents will grieve these losses for the rest of their lives. They have just begun the journey of growing into grief.